NB. I do hope you are remembering to Cleanse, Protect and Ground before and after working with The Tarot. We now move on to the Four Fives and Sixes of The Minor Arcana. The Five and Six of Wands, Cups, Swords and Pentacles. When we have completed the Fives we will have reached the Half-Way Point of the Journey through the Four Suits. You should all be beginning to see certain patterns of behaviour forming as the story unfolds. We are now also dealing with the energy of the Number 5 and so, can expect some difficulties and upheaval for the characters in their individual storylines. I wonder how they will cope? Please lay out the Four Fives in front of you and attempt your own interpretation. Record your findings in your Tarot Journal. So let us now visit each of The Four Suits as they Enter the Scenes in Card Five. Just click on the following Links, Five of Wands, Five of Cups, Five of Swords, Five of Pentacles, or the Images below to go directly to The Individual Card Pages.However before that, take some time out to read the The Fives Intro first. When you are ready to proceed, click on the Images below to go directly to their Individual Pages. Please read The Fives Intro first. This Card Reading is excellent for getting to the heart of love and relationships. It is ideal for anyone who desires to draw romance and love into their lives. I did not design this myself but found it on the internet some years ago and have used it successfully on many occasions. The Looking for Love Spread, will expose areas where you may be unconsciously blocking a loving relationship from coming into your life. It will offer both guidance on how to overcome and release these blocks, together with suggestions as to who might be a suitable partner, and where you are most likely to meet him or her. To get the most out of this Reading it is wise to detach yourself, or advise the Querant to detach them self as much as possible from the Outcome. Being honest with yourself, and being open to other possibilities and potentials is important. Have a go at this Spread before you look at my interpretation. When you do, I want you to look closely as to how I have interpreted the Cards to suit the Spread, and also the position within the Spread. Play with the meanings of the Cards. Work out how I came up with the interpretation that I did. Bend them, twist them and read between the lines. Look at the metaphorical meanings behind the Cards and not just the literal ones. Stretch your imagination and be creative. Piece together the story in front of you bit by bit and then pull it together so that it makes sense and is understandable. Open your mind and heart. Listen to what your inner-voice is telling you. I am not expecting you to come up with the same interpretation as mine as that would be impossible. However, see if you find any correlations or similarities. This time I have interpreted the cards with input from the Querant. This is a genuine Reading so be especially observant as to the importance of the two-way flow of communication between myself and the Querant. See how the Reading opens up as a result and the benefits that are ultimately obtained. This is the difference between a Fortune-Telling Reading and a Tarot Consultancy. So we have three Cup Cards in this Reading which strongly links it to a Relationship Scenario but before you go rushing off to triumphantly announce a happy ever after story, look again for there are a few issues, challenges or obstacles that may be causing issues or blocks to the Querant achieving their dream or goal. Take your time and don’t forget to take all influencing elements into play. Along with the actual presenting Elements, take the Numerical Energy of the Cards into consideration as well. Play with the Reversed ones as best you can and see how they may be influencing the situation. Keep referring back to the Question and very importantly, the meaning of the Card Position or Placing. If you need to re-cap on the Cards above, just click on the relevant Card to go directly to the Individual Card Page. Completed your Study of the Four Fives? Congratulations and well-done. The Fives are quite disruptive aren’t they? If you are ready and prepared please move on to the Four Sixes below. As we arrive at Card Six we are now embarking upon the second half of the Four Suits journey through The Minor Arcana. This to a certain point marks a turning point for all the Suits. As their period of crisis ceases or abates, they must decide how to move forward and how to individually heal. Lessons, some hard and painful, have been learned or are still being processed. How they progress from here will be interesting to observe, and just because they have entered a time of calm and balance, it does not mean that their work is done. Rest assured, it will not be long before more challenges come their way, and they must then use their experience to date to deal with them efficiently and successfully. Your understanding of the Storyline relating to each Suit should be building nicely at this stage. As we progress through each Lesson you will begin to notice that other than the Cards themselves, the amount of extra new material to take on board is thankfully reducing. As a result we should be able to move more swiftly through each Lesson. However, we still have the Court Cards to get to grips with and they are dealt with in a different manner, but for now just let us concentrate on the Sixes of each Suit. Before you take a look at the Cards below, lay out the Four Sixes on the table in front of you and attempt to interpret their meanings using your already tried and tested method of interpretation. Don’t forget to use your Tarot Worksheets to record your relationship with each Card. Use your growing knowledge of Numerology, Colour Meaning, Archetypes and Symbols to arrive at conclusions. So, without further ado, let us move on to the The Four Suits as they enter the Scenes in Card Six. Just click on the following Links, Six of Wands, Six of Cups, Six of Swords, Six of Pentacles or go to The Individual Card Pages. However before that, take some time out to read The Sixes Intro first. After the upheaval of the Fives, the Sixes thankfully exert their calming and stabilising influence over the numerous dilemmas the characters in The Fours Suit found themselves embroiled in. Please read The Sixes Intro first. A Distant or Remote Tarot Card Reading is when the Querant is not physically present for their reading but may be miles away or even in another country or continent. Distant Card Readings can be surprisingly accurate despite people feeling that they need to be there in person to get a good reading. In this day of modern technology and global communication, the world has become a much smaller place indeed. While I am sitting typing away in the countryside of Ireland, there are people from The USA, Australia, India, Norway and a host of other countries reading what I have just typed. The rain is pouring down here and the sky is heavy and dull but there are many who are reading this are basking in the sunshine with their air conditioning gone into overdrive. As Readers, we no longer have to sit waiting for people to come to see us, or limit ourselves to the local market, for we can now go anywhere once we have an internet connection, a computer, tablet or smartphone which all have inbuilt cameras, videos and webcam. Querants no longer have to limit their search for a Reader to within a certain driving distance, for they can now access Tarot Readers from all over the world. Skype and Facebook are just two examples of how people can globally communicate without leaving their fireside. Since I first uploaded this page, several new apps and methods of communication have launched, making it hard to keep up with the latest trend. Whichever, you choose, and there are many, they are all bound to provide similar services for face to face communication. Gone are the days of trunk or long distance calls with dodgy lines and high prices. Within a couple of minutes you can be chatting with your best friend in Malaysia, admiring her new hairstyle and home decor, all from your little bedroom in London. These incredible communication and visual tools or devices have opened so many opportunities on both a commercial and networking basis. Groups and Communities with common interests have become reliant on modern technology for the sharing and of information and networking. We no longer need to feel alone. Getting to grips with modern technology is something most Tarot Readers have to take on board these days if they wish to build a strong and growing clientèle. The Global Tarot Community is vast with thriving communities and groups dedicated solely to the Art and Love of Tarot. All you have to do is type tarot into your search engine and you will immediately get thousands of results ranging from Tarot Information Sites, Courses, Blogs and Readers, to Tarot Communities, Forums, and On-line Reading Businesses. There are also thousands of Applications that will send you a daily Tarot Reading straight to your phone or computer. Many Tarot Readers were doing Distant Readings long before the Internet became the rage but it was difficult to arrange payment, and then there was also the problem with the old style telephones not being hands free, and having no speaker phone. I remember doing Card Readings on the phone and I would have to tell the Querant “I have to put the phone down now so that I can shuffle your cards”. It was messy, but I still got the job done. Of course it is much easier now. So is it easy to do a Distant Card Reading? What are the pros and cons of it all? Yes, it is easy and much easier than you think. If you are studying the Tarot through this course or another, you will probably be getting Card Reading requests all the time from friends or work colleagues. How many times have you received a text or phone call from a friend, or had someone quickly message you on Facebook asking you to pull a few cards for them. You have probably done it without thinking about it, and had no problem doing a quick reading for them. After all, it is all experience at the end of the day. A time is pre-arranged for the Card Reading and payment is made in advance. The Querant rings the Reader at the agreed time and discusses their requirements, or asks specific questions. The Reader shuffles and draws the Cards on the Querant’s behalf while both meditate on the issues to be dealt with. The Reader then interprets the Cards and relays the information to the Querant. The Querant and Reader communicate throughout the Reading. The Reading ends at the alloted time. Because, you are on the phone, and there are no visuals involved, there is no need for any special set-ups or backdrops as you can do the reading at your kitchen table or sitting on your bed if you like. However, you should maintain a professional approach whether you can be seen or not. It might be a good idea to remove yourself to a separate room with a table, so that you know you are ‘at work’. Focus and concentration will be better along with a sense of pride in your work. The fact that you cannot see the Querant when doing a Phone Reading can have advantages and disadvantage. When you cannot see the Querant, you can still tune into them, that is how Distant Card Readings work, but you have to work harder at it. Being able to see their face and body language makes a huge difference when Reading. Also, the need for communication between the Querant and Reader is even greater when doing a Reading over the phone. If you are unlucky to get a Querant who believes that anything he or she says is giving the game away, then you may feel at times that you are Reading to a dead line or talking to yourself, as there will be no response coming from the other side. You need to have excellent communication skills to do Distant Phone Readings; your speech needs to flow and not be jagged or jarred as it will feel uncomfortable for the Querant to listen to. 10 seconds of silence on the phone can feel like an eternity. However, when you have only the phone connecting the two of you, it is sometimes easier on the Reader, who under normal circumstances, can be put under pressure by the intent gaze or stare of the Querant. The Reader can now be more relaxed and concentrate totally on reading the Cards and not what the Querant is looking at or thinks of them. When the Querant cannot see, the Reader can better work around upsetting or nasty Cards that turn up. The Reader can also pull extra cards at will without drawing enquiries from the Querant as to why they need extra Cards. Distant Phone Readings test you as a Reader, improve your story-telling abilities, and also improves your speed of delivery. The Querant pays in advance for the Reading. 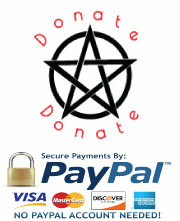 Anyone booking a Distant Card Reading will automatically expect you to have a PayPal or similar online account. The Querant pays for the Phone Call – They ring you at the agreed time. Landlines are preferable to use as they are less expensive, then mobile phones, and usually do not have a signal problem. The Reader has no financial responsibility except for the service charge, or fees due from the on-line transaction of their PayPal account, which should be incorporated into the cost of the Reading. Please note, that it is the responsibility of the Reader to remind the Querant when their time is up, or to give them the option of booking additional time if they want the Reading to continue. Otherwise the call must be terminated at the agreed time as it will incur extra costs for the Querant. It goes without saying that The Reader should have naturally wound down the Reading by the allotted time, and not just terminate the call before the Reading is complete. It is only if the Querant is seeking another Reading, or wants to get further insight from the current Reading that extra time is offered. Distant Card Reading by Email is very different from all other forms of Remote Reading. This is because the Reading is not done live. Distant Readings by Email work on the basis of the Querant emailing the Reader a Question or Questions. They usually are asked by the Reader to supply brief background information for the questions. Sometimes, the Reader will also require a photo of the Querant, or whoever the Reading concerns. This helps the Reader tune-in to the Querant. Payment is made in advance and there is an agreed turn around time for the Reading to be completed and mailed to the Querant. Email Distant Card Readings certainly take the pressure off, but they can be very time-consuming. I have done many of them over the years, but now they would be my least favourite. There are many reasons for this. You cannot communicate with the Querant while interpreting the Cards, therefore you just have to go with what you intuitively think is right. Not having this two-way flow of energy can take the full potential from a Reading. Yes, the Querant will get their Reading, but it would be so much richer if there was live communication. Having no immediate confirmations coming back from the Querant can make you doubt your interpretations. You may hold back on some vital piece of information because you feel it may be way off the mark. Instead of being brave and believing in yourself, you decide to leave it out just in case. Also, you need to be a decent typist as it will take you some time to write. You also have to know how to spell and be able to use proper punctuation. The spell checker on you Word Program cannot be relied upon. Unless you have a hired Proof Reader, it is very difficult to get everything right, so people in general are fairly forgiving when it comes to spelling mistakes, omissions and punctuation errors. Every time I read back on my own work I find mistakes. It doesn’t matter how many times I go over it, I still find mistakes. However, blatant sloppy writing and spelling is very off-putting for everyone. The Querant pays for The Reading in Advance. The Reader is responsible only for the Service Charge and Fees due for the Online Transaction which should be incorporated into the cost of the Reading. Skype allows free internet calls. Skype Users can communicate with each other over the internet by use of microphones, or by video using webcams. It also facilitates Instant Messaging. Skype has revolutionised the lives of so many people, and has certainly made the world a much smaller place. Skype has become the indispensable tool used by friends and family all over the world when distances separate them from their loved ones. By using Skype to keep in touch with family and friends all over the world, it is the next best thing to being actually with them. Needless to say, Skype and several other similar versions have totally opened the business world, turning it global and instant. No longer do business people have to travel indefinitely for meetings and conferences, for they can keep in touch and up-to-date with all their clients, colleagues and staff by using Skype Video Calls or Video Conferencing in their own office, or even from the kitchen table at home. Skype also allows file transfer. As you can see, with Skype technology, The Professional Tarot Reader can offer many services. Cost wise, Skype is free to download. Making calls to, or Video Messaging other Skype Subscribers is free of charge. This means no cost to The Querant or The Reader. However, both have to be Skype Users, have internet connections and a viewing screen such as a computer screen, tablet or smart phone . It is possible to make calls to landlines and mobile phones from Skype but there is a charge for this service. Skype offer several packages for Subscribers who want more than the basic Skype Service. How can The Tarot Reader Use Skype? 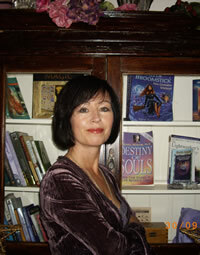 As a Tarot Reader you can use Skype to do on-line Face to Face Live Readings using their Video Messaging Service. If the Querant is a Skype User, there is no cost for the Video Call. The only charge to the Querant is your Card Reading Fee which can be paid by Pay Pal or a similar on-line payment facility. This is the closest you will get to having the Querant sitting in front of you, and is a very popular method for Reading World Wide. Your clientèle also become global, in so far as is your ability to communicate in certain languages. However, care should be taken when booking on-line Skype Readings from around the world as different time zones have to be taken into consideration. Otherwise you may find you have booked Readings for Querants who will be expecting a call from you in the middle of the night. One to One Live On-Line Tuition can also be offered by those who teach Tarot, using Skype Video Messaging for free. Class or group lessons can also be taught using Skype Video Conferencing, but there is a charge for this. Again, to avail of free calls and video messaging both Reader and Querant need to be Skype Users. An internet connection and viewing screen are obvious essentials. Face to Face Video Messaging – Free of Charge for Skype Subscribers. Querant pays for Reading in advance of call. One to One Private Tuition – Free of Charge for Skype Subscribers. Student pays for Lesson in advance of call. Group Video or Conferencing – Check Skype for Rates. You just caught me as I am off to bed now. Yes, they are posted in the sub-menu of Lesson 8. I am re-working the cards on Lesson 7 at present, the Fives but Lesson 8 has the Sevens and Eights in their original format and wording uploaded. Lesson 8 has no content yet, but it does have the sub menu with the card meanings loaded. The Sevens and Eights Intros also have to be re-worked. I will be posting any updates once they are completed so that those studying the cards can go over the new content. You are flying ahead with the cards for sure. Please understand that the Course is not complete and still under construction. I do hope you can be patient with me.